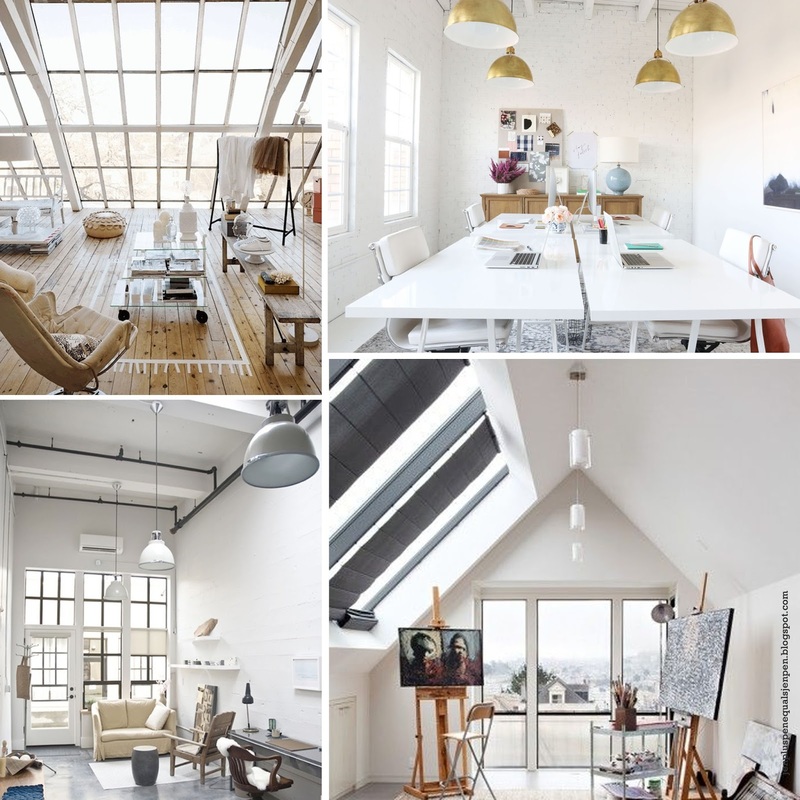 I would like a space that has huge lofty kind of windows, that will bring lots and lots of natural light in. That way I can make beautiful pictures with the natural light shining in. I would like a space that's in a old building or school or something in that trend. The room would have a little history and it gives the space even more character. I would like to paint it then all white. The floor also, except if it has those beautiful monumental tiles. Love those. As my budget is very low, I'm going to make a desk from an old door and paint the top white. Search in all the right and old places for a vintage or retro looking chairs. Add some new fabric on them to make them all new. I would like a wall shelving to store all my books and add some art prints and accessorizes. Add some baskets with some plants and I'm good to go. These are all my types of work environment. Having a space outside of my home would be so awesome and I could go wild without having to worry about my husband going bananas up in our home office, because I want to keep changing things up. How about you? Do you have the same dilemma? Would you like to have an none home office? Please share in the comment section below. I love that office you thought up. I feel like I could be very creative in a space like that. Our aesthetics are similar. 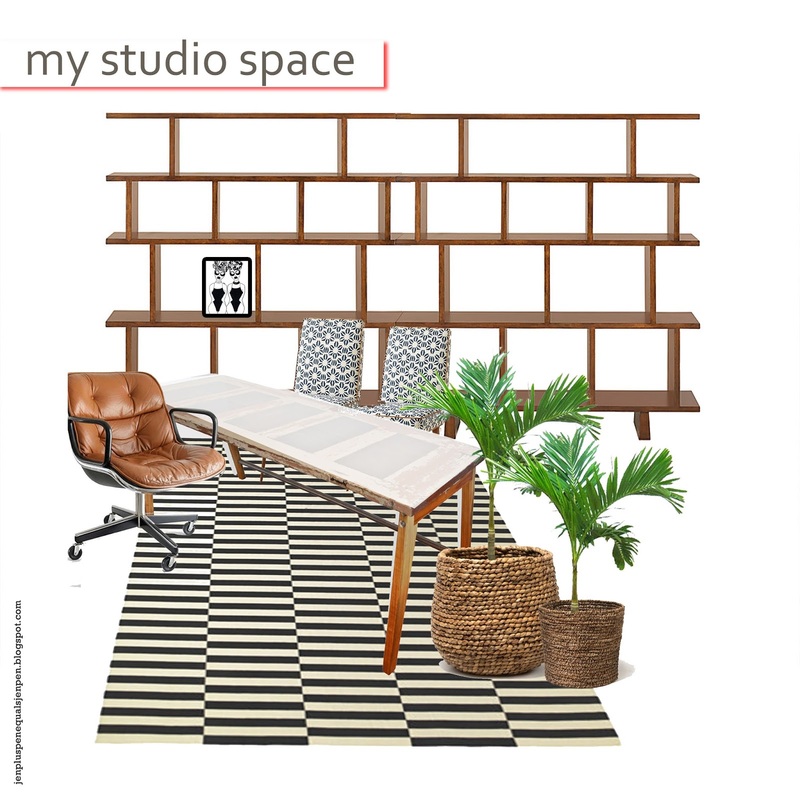 And I agree that sometimes having your work space in your home space is hard especially when you are sharing it with someone else! Alison, you're feeling the vibe. Oh I love the white space. I too need something like this to creatively think. I get my area so cluttered with my constant skipping from one project to the other that this would just relax me. I love the open windows and natural lighting in these! Yes Wendy..my desk right now is stuffed with stuff. Wish I had a big table to go wild.